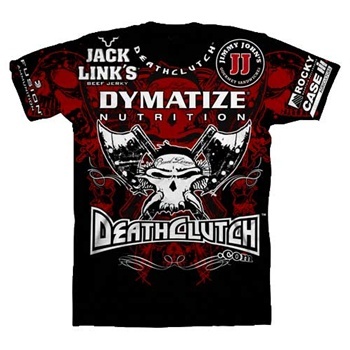 The last Brock Lesnar Walkout T-Shirt that had sponsor logos have been a big hit, so now the Brock Lesnar UFC 121 Walkout Shirt by Death Clutch is also releasing a version of the shirt as the complete replica of what the UFC Heavyweight Champion is going to rock as he walks out to face Cain Velasquez. Rarely do shirts with full sponsor logos do get released. Love him or hate him, Brock Lesnar is causing a wreck.